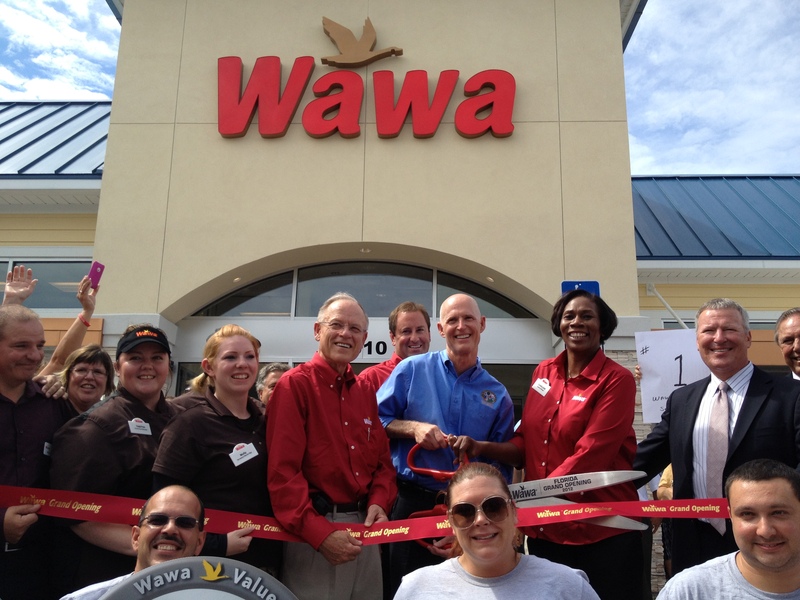 Governor Rick Scott welcomed Wawa convenience stores to Orlando today at the grand opening of their first store in the state of Florida. The store is the first of five stores opening in the greater Orlando area by mid-August, with 100 Florida stores planned during the next five years. These stores represent the company’s first outside of the Mid-Atlantic states of Pennsylvania, New Jersey, Delaware, Maryland, and Virginia. Wawa also plans to open stores in Tampa in 2013. The new stores will each provide 35 full-time and part-time jobs, meaning the 100 planned stores will bring about 3,500 jobs to Floridians during the next five years.